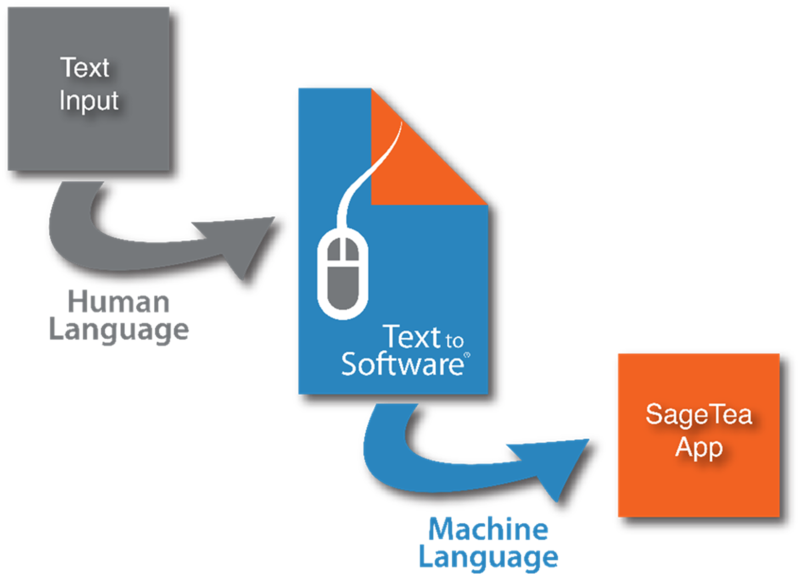 SageTea Software has invented the world’s first commercial natural language programming development platform: Text to Software. With Text to Software, clients in any industry can transform the written word into a working software system with little or no coding. This saves a significant amount of time and money. Text to Software® is a software development tool. It is a “low code” tool that takes the complexity and mystery out of building software. If you can write down what you need, our tool can create software for you with very little work by you. You don’t need a degree in Computer Science, and you can create software faster and with considerably less cost. Text to Software® manages a database automatically. It comes with a built-in cloud, has integrated security and access control and provides language management for your application. Text to Software® can automatically assist developers with built-in expert features. Comes with included applications SageTea EMR, SageTea Warehouse Management, Inspections and many others. Read more about Text to Software®. YES! Opt-me in so I don't miss any important communications from SageTea.